We invite you to participate in the Visiting Fellowship Program offered by ProScan Imaging Education Foundation. Our innovative educational program has been improved and expanded. Recent enhancements include the development of individualized study programs for physicians based on their specific learning objectives, daily one-on-one interactive sessions with faculty, “chalk talk” sessions with a member of our faculty, and readout observations by attending radiologists. Participants who complete this self-directed MRI Visiting Fellowship will strengthen and enhance their skills in MRI interpretation. A Participant Profile will outline your individual learning objectives. At the end of the program, you should be able to identify normal anatomy and variants, injuries, and pathology as they relate to MRI, allowing for practice improvement and better patient care. Daily Study: 6 CME Credits per day. 20% Purchase Discount on the entire ProScan Imaging Education Foundation library of products up to two-weeks following the completion of Visiting Fellowship. To apply for a Visiting Fellowship, click here. For questions or to schedule your customized visiting fellowship, please contact education@proscan.com or 1-866-MRI-EDUC (1-866-674-3383). The ProScan Imaging Education Visiting Fellowships are available by the day, week, or month(s). Tuition is $500 per day and fellowships are available year round. Most academic activity is conducted in a well-equipped reading room on the ProScan campus. The program’s features include formalized study programs for physicians based on their specific learning objectives, daily one-on-one interactive sessions with Dr. Pomeranz and/or other ProScan faculty, and readout observations with attending radiologists. ProScan Imaging manages one of the largest advanced imaging teleradiology practices in the world, interpreting nearly 1000 MR and advanced imaging examinations per day. Our Cincinnati facility alone interprets at least 250 MRI scans daily with a varied case mix including MSK, neuro, CNS, cardiovascular, abdominal, breast, and much more. Each physician may design a training program to meet his or her educational needs. The right program is available for the beginner in MRI – or the 20-year veteran! The ProScan Imaging Education Center offers personal study areas, each equipped with a computer loaded with extensive MRI reference and learning materials. In addition to self-directed learning, teaching is shoulder-to-shoulder with the attending staff including multiple readouts, daily lectures, informal case review conferences and discussions of select topics in MR and advanced imaging. *Note: Actual daily schedule and/or orders of activities may vary based on your preferences or physician availability. The Education Center library and electronic teaching files are available from 7:30 a.m. to 6 p.m. Monday thru Friday. 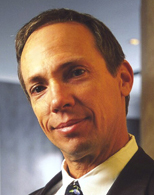 ProScan Imaging Education Foundation was founded by Stephen J. Pomeranz, M.D. over 22 years ago. Dr. Pomeranz is renowned as a world leader in the field of diagnostic imaging, particularly MRI. His experience interpreting over one million MRI examinations and his passion for education and mentoring come together to provide an excellent learning experience for physicians and healthcare professionals. Dr. Pomeranz has authored numerous MRI texts, as well as many multimedia teaching materials published by our organization. He has disclosed no relevant financial relationships. There is no additional actual or potential conflict of interest in relation to this course. Declaration of Faculty Disclosure: Stephen J. Pomeranz, M.D., is CEO of ProScan Imaging, parent organization of ProScan Imaging Education Foundation, and part-owner of ProScan Imaging’s outpatient diagnostic imaging sites. There is no additional actual or potential financial conflict of interest in relation to this program. Certified since 1992 by the American Board of Neurological Surgeons, Dr. Malcolm Shupeck is both a fellowship-trained Imaging Neurosurgeon and a fellowship-trained Pediatric Neurosurgeon. He has been a member of the American College of Surgeons since 1994 and belongs to the Congress of Neurological Surgeons. A native of Danville, PA, Dr. Shupeck earned his undergraduate degree from Swarthmore College before attending medical school at the Medical College of Virginia in Richmond. Following an internship at MCV, he completed his Research Fellowship in Physiology at the Peripheral Nerve Center and his residency in neurosurgery at the Mayo Clinic in Rochester, MN. Before joining ProScan Imaging and the PIEF as a Year-Long Fellow in Neuro Imaging in 2009, he was employed by Pinehurst Surgical in Pinehurst, NC. 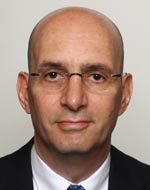 Dr. Shupeck became Associate Medical Director of PIEF and Director of the Year-Long Fellowship Administration in May 2009. Declaration of Faculty Disclosure: Malcolm Shupeck, M.D., F.A.C.S. is Director of Year-Long Fellow Administration for ProScan Imaging Education Foundation. There is no additional actual or potential conflict of interest to this program. We can make travel and lodging recommendations as you plan your trip and restaurant and entertainment suggestions once you arrive. For more information about Cincinnati and to review a list of preferred hotel accommodations, please click here. One or more of the following topics will be addressed during this activity: better image triage, improved diagnostic acumen, change in approach to dilemmas, enhanced communication, practice systems, better utilization of technology, strategies for patient treatment, etc. The ProScan Imaging Education Foundation is Accredited with Commendation by the Accreditation Council for Continuing Medical Education (ACCME) to provide continuing medical education for physicians. This activity has been planned and implemented in accordance with the Essential Areas and policies of the ACCME. ProScan Imaging Education Foundation designates this educational activity for a maximum of 6 AMA PRA (Physician Recognized Award) Category 1 credits.™ Physicians should only claim credit commensurate with the extent of their participation. Additional CME is available through enduring materials. For questions or to schedule your customized visiting fellowship, please contact one of our education coordinators at education@proscan.com or 1-866-MRI-EDUC (1-866-674-3382).